WAIPA IN REAL LIFE: MY "AWWWESOME" WEEKEND... AGAIN... "SLAVIQ" & "TEAM AWWWRITE!!!" - GIRLS BASKETBALL TEAM!!! MY "AWWWESOME" WEEKEND... AGAIN... "SLAVIQ" & "TEAM AWWWRITE!!!" - GIRLS BASKETBALL TEAM!!! AFTER THE HOLIDAYS HAS FINALLY PASSED THRU... IT WAS TIME FOR A VERY MUCH NEEDED BREAK!!! THIS WEEKEND I SPENT TWO NIGHTS AT THE FIRE STATION AS ON-CALL EMT WHICH WAS GOOD AS I NEEDED TO GET MYSELF RE-ENERGIZED ALL OVER AGAIN. AFTER THAT I WENT I WENT TO CELEBRATE "SLAVIQ", RUSSIAN ORTHODOX CHRISTMAS & NEW YEAR AT THE WILLIAMS OHANA HOME!!! A VERY BIG MAHALO TO THE WILLIAMS OHANA FOR HOSTING A WONDERFUL "SLAVIQ"... LOTS OF PEOPLE AND GOOD GET TOGETHERS!!! RIGHT AFTER THAT... IT WAS TIME FOR SOME BASKETBALL FUN!!! THE "TEAM AWWWRITE!!!" GIRLS BASKETBALL TEAM!!! 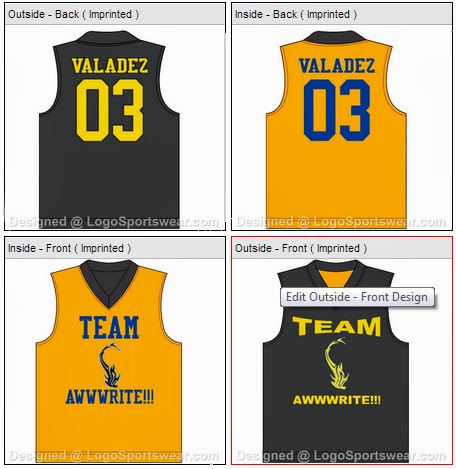 "TEAM AWWWRITE!!!" PLAYED AGAINST "TEAM AKIACHAK"... IN THE 1ST HALF AND PART OF THE 2ND HALF... AKIACHAK WAS AHEAD BY 11 POINTS... BUT TOWARDS THE END... "TEAM AWWWRITE!!!" CRANKED IT UP AND SEALED THE VICTORY OVER "TEAM AKIACHAK"... 52-48!!! WAY TO GO GIRLS!!! YOU FOLKS MAKE ME PROUD AND I CAN'T WAIT TO SEE YOU FOLKS PLAY AGAIN SOON!!! PAULINE, ASHLEIGH, MIULE, PU, SARAH, ELENA, & LUCILLE. AND THEIR JERSEYS ARE ON ITS WAY SOON!!! EACH JERSEY HAS THEIR OWN AND AND NUMBER!!! AND THAT SUMS UP MY "AWWWESOME" WEEKEND!! !